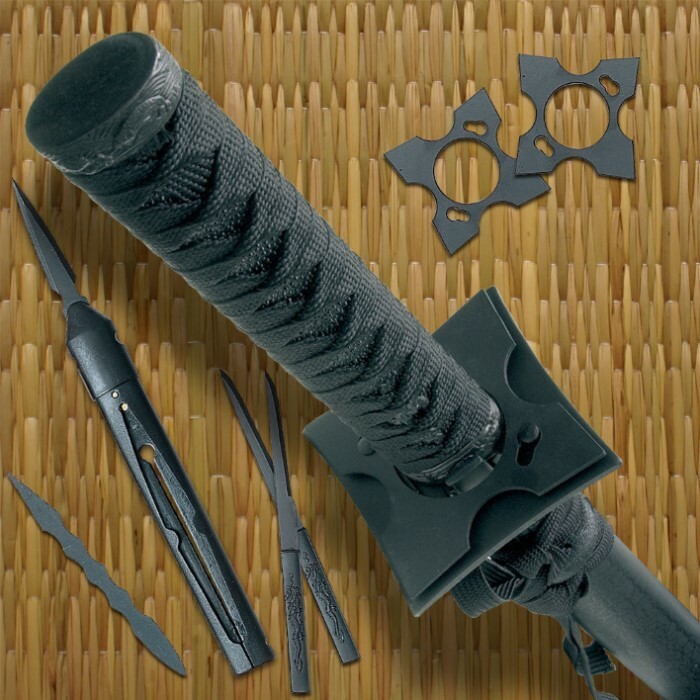 Our black ninjato collection was built with the modern-day ninja in mind. You get a 34" steel ninjato, mini tantos, throwers and throwing stars all packaged in one serious set. 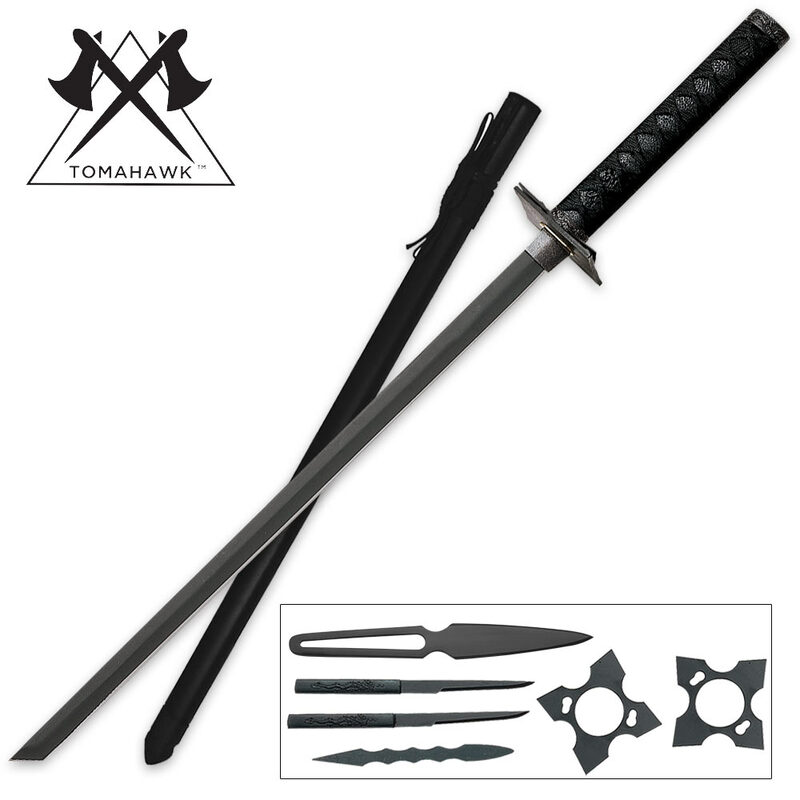 A matching scabbard houses the powerful steel blade and the rest of the package.